Looking for ways to watch Monday Night Football online? 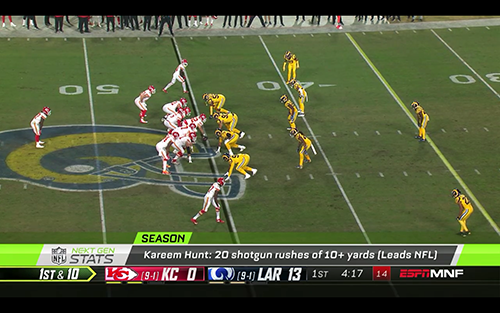 ESPN currently holds the broadcast rights to Monday Night Football, but there a several ways to watch if you are away from you TV or even if you don’t have cable. ESPN’s WatchESPN app provides streaming access too all ESPN programming, including Monday Night Football. It’s available across a large variety of mobile, tablet, and TV connected devices. I frequently watch Monday Night Football with theWatchESPN app on both my Fire tablet and FireTV. I always found the streaming quality to be quite good and the app delivers a nice user experience. The NFL app and the Yahoo Sports app allow you to watch every in-market NFL game on your mobile device for free with any additional subscription and without the need to authenticate through a TV provider. The only issue is you won’t be able to connect it to a larger screen. Some cable TV providers have there own streaming app, such as Xfinity’s Stream app. Some of these products will restrict the ability to stream TV to your own home, so watching on the go may not be an option with these apps. The free streaming options for Monday Night Football are limited to your mobile phone. However, there are still some options for both cord cutters and those with cable subscriptions.